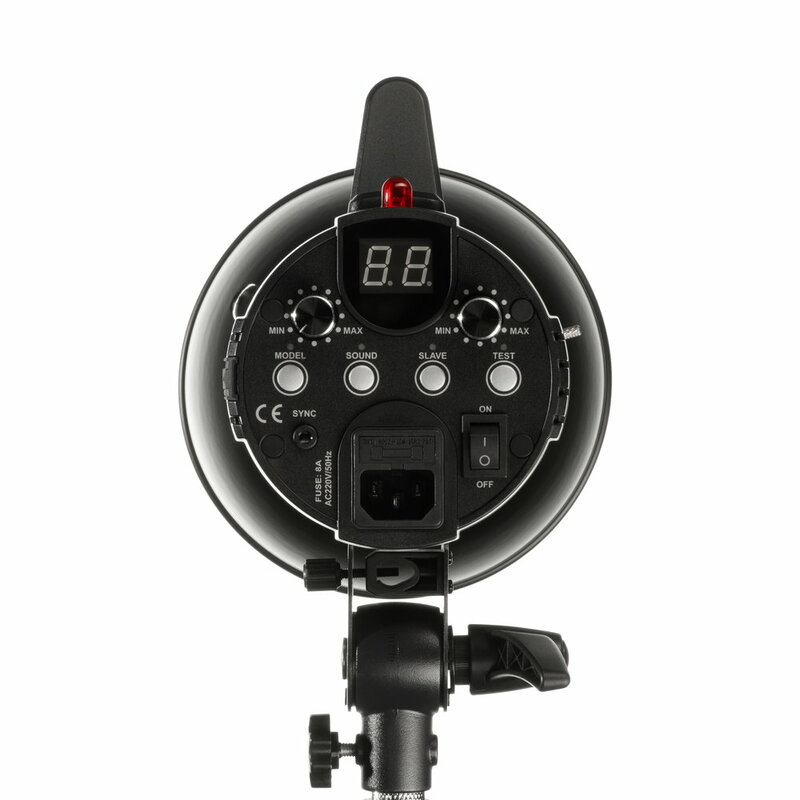 Quadralite Move PRO is a series of compact flashes. It's an extension of Quadralite Move series – they have the same casing, but their internal components largely differ. Move PRO flash is a mobile, lightweight and compact flashlight that can be used in studio or outdoors by professional photographers and amateurs. 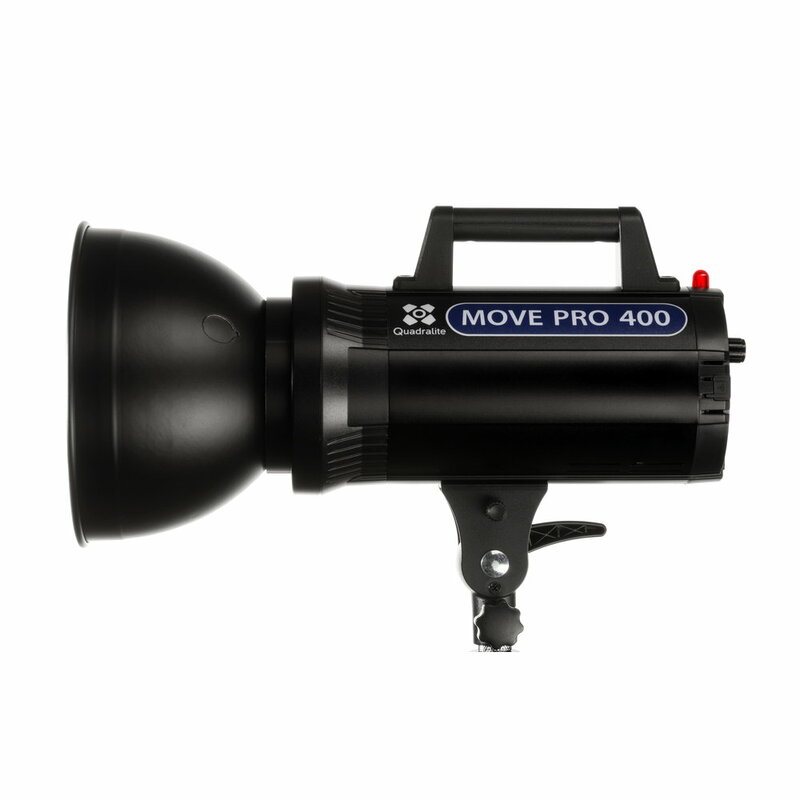 Move PRO is available in Move PRO 400Ws. Major features of Quadralite Move PRO are: ultra short flash duration 1/5000-1/800s, fast recycling times 0.3~1.5s and ability to trigger up to 10 continuous flashes per second. Flash power can be adjusted from full power (1/1) to 1/64 in 50 steps (5.0-10.0). Each lamp of this series is equipped with halogen pilot light with the power of 150W, its brightness can be adjusted smoothly and independently or simply turned off. 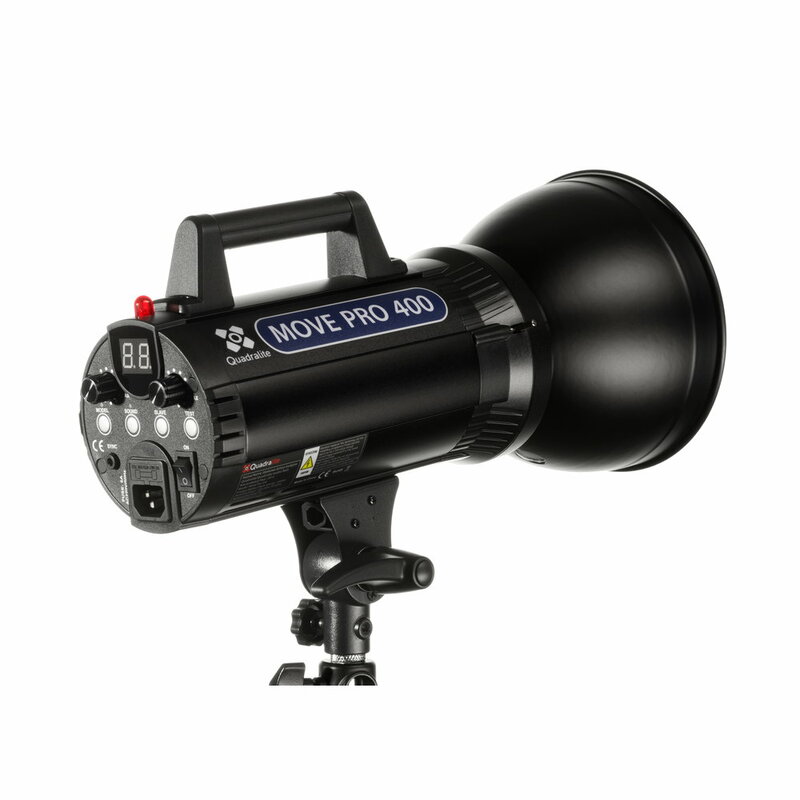 Moves PRO series lamps are easy in operation, controlled and triggered wirelessly with optional Quadralite Navigator trigge, that allows to regulate flash power and turn the modeling light or sound on and off. 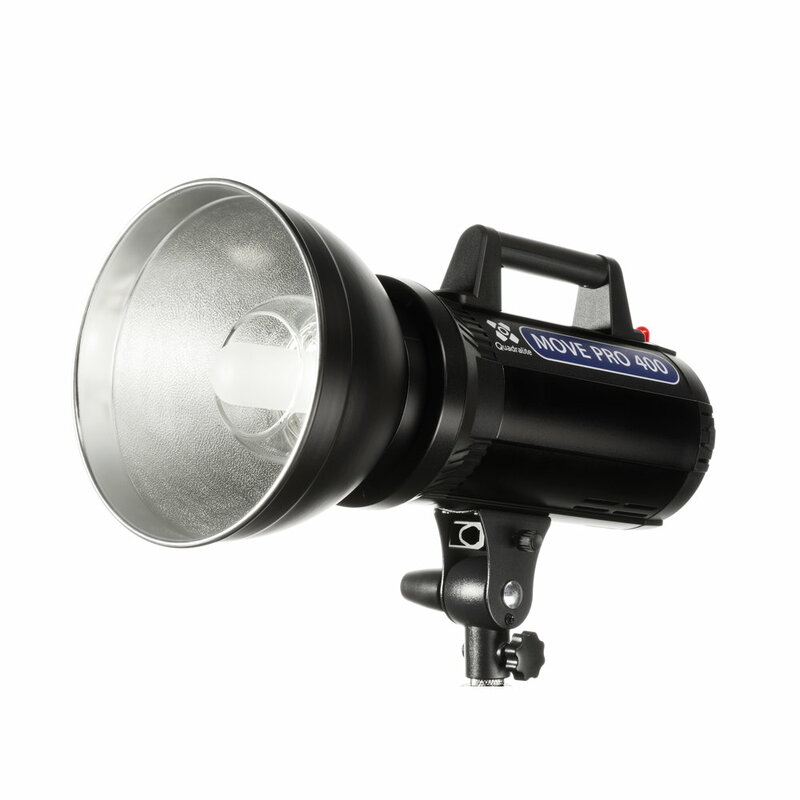 Small size and comfortable handle make Move PRO lamps easy in transportation and operation.